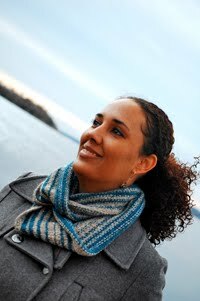 Cambria Washington: knitwear & patterns: Follow me on Facebook! Hey everyone! I decided that if I was really going to make a go at becoming a designer, then it was time for me to create a facebook page for my work. I mean really, I'm sure that my guy-friends from high school could care less about my knitting, and knitters could care less about my family nonsense. 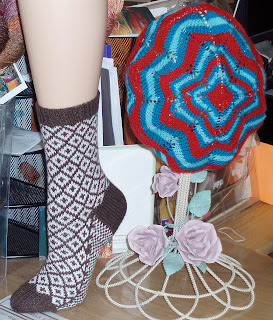 This way I can keep all of the knitting in one place, and the family in another, and rarely the two shall meet. Here on the blog though...you'll have to still deal with the blending of design and kids because I haven't gotten around to making a separate blog for that yet, lol. 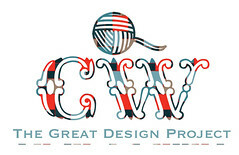 In 'branching out' news, my ad was approved by the powers-that-be at Ravelry and will start running this Friday. I'm really excited about it. My first ad spot! Hopefully I'll see some return from it. 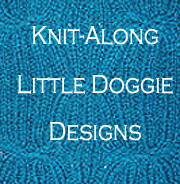 I'm also thinking about starting a 'featured pattern' or 'pattern of the month' in the group and on the facebook page to highlight designs that I'm really excited about. Oh, and these bad-boys are done too :) If you're new here, or you haven't read the blog recently, these are two of the kits that will be available at Bella Yarns starting the weekend of the Yarn Crawl (April 15-17). 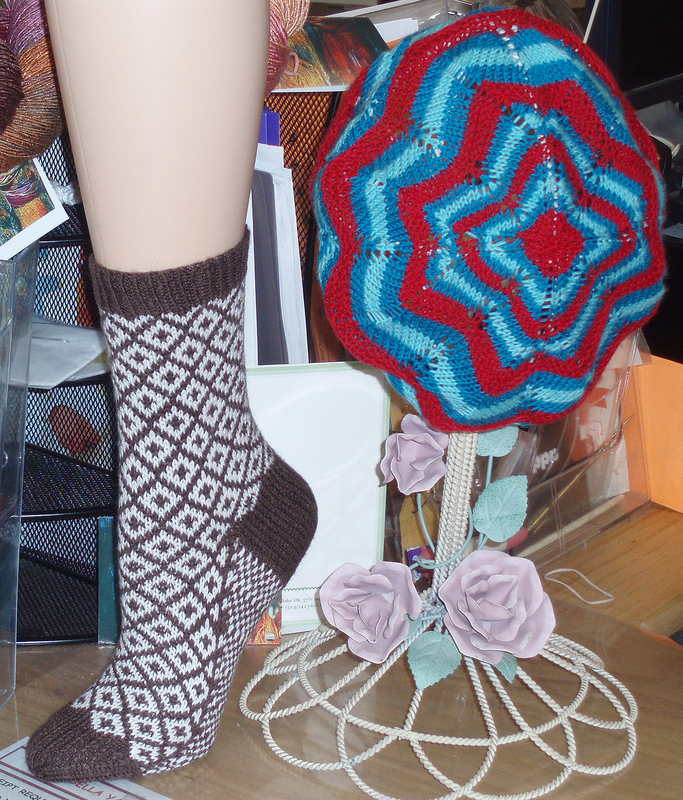 The sock is Rhodes, knit in ONline Line Supersocke Silk. The beret is unnamed. It's knit from three colors of Cascade Heritage sock yarn, knit at a sport-weight to make a cute and light hat to carry you from spring into fall. It really needs a good name and I'm taking suggestions. If it can be Rhode Island related, that would be fantastic but if it's cute and non-Rhode Islandy I won't be opposed to it. I'm so obsessed with finding a good name that I actually had a dream about it! All I remember is something about the word 'bubble'. go check out the Facebook page and click the 'like' button. Looking forward to seeing you on 'the book'!